The Charlotte Tennis Association is working with former ATP tennis star Tim Wilkison and filmmaker Rex Miller to support a fundraising effort for junior tennis programs in the war-torn country of Uganda. 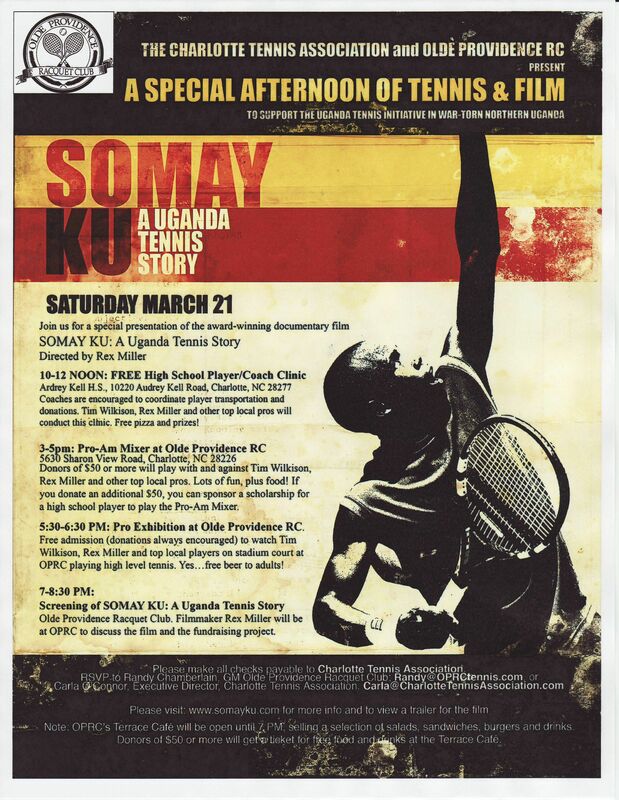 A full day of fundraising events (FREE high school clinic, pro-am mixer, pro exhibition and screening of the documentary film Somay Ku, A Uganda Tennis Story) are scheduled for Saturday, March 21. 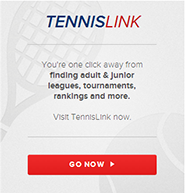 The Clinic will be hosted at Ardrey Kell High School and the other events will be hosted by Olde Providence Racquet Club. See details below. For information on the video...click here.